Thinking back to taking home a first-place blue ribbon from her fourth grade science fair, Dr. Shawna Hogan vividly recalls every detail of the day, especially the excitement and pride she felt in exhibiting the one and only project that explained the benefits of a healthy spine. “While my cohorts were experimenting with their volcanoes, I was already seeing my future in chiropractic medicine,” she says. Her mother, Pam Speed, was the office manager for a chiropractor in their New York town, and as a close friend of the family, the doctor welcomed Hogan to spend countless hours at his practice and even attend seminars. Besides absorbing information, the bright, impressionable child observed the happy, healthy chiropractors in attendance and realized that she, too, could put her love of science to work in a profession that promoted a lifestyle of well-being. “My mom would tell me, ‘Someday, you will be a chiropractor and I will manage your office.’ And she was right!” says Hogan. Hogan believes that the time she spends listening to individuals and answering their questions has enabled her to attract a broad base of patients, who appreciate being seen and heard. “Patients are so often rushed in and out of doctors’ offices today without ever feeling that they are being listened to. Pampering is often missing in health care today,” she says. “My objective is to go the distance so that each patient feels that he or she is a priority. I additionally feel that if I’m doing my job correctly, I’m educating my patients while treating them.” As a result, Hogan receives a healthy share of medical referrals, and prescribed treatments, even massage, are widely covered by insurance plans. She also reveals that a good number of her patients are physicians. As a member of the International Chiropractic Pediatric Association, Hogan is particularly interested in caring for children of all ages and pregnant women. Many women, in fact, first experience the benefits of chiropractic treatments when seeking relief of back pain from pregnancy. “While lessening pressure in the lower back, chiropractic reduces tension on the ligaments affecting the uterus as well, allowing for a more comfortable pregnancy and less difficulty during labor,” says Hogan. Parents who benefit from seeing a chiropractor often recognize the value of exposing their children to a chiropractic regime early on. “Since alignment issues can occur during the birth process,” explains Hogan, “new moms are wise to bring in their infants for spinal checkups.” While some take advantage of well visits, most children first see Dr. Hogan when they suffer an injury—typically from a sport-related event. Young athletes aiming to prevent problems are also turning to her for treatments and guidance. Since weight loss can be critical to eradicating physical stress and pain, Dr. Hogan has always encouraged patients to adhere to healthier diets and exercise regimes. Searching for ways to get patients excited about losing some of the extra inches around the belly, she investigated various noninvasive alternatives as a means to jump-start success. Without a doubt, she determined that the Zerona laser belonged in her practice. When individuals enter our tranquil office, I want them to leave the rest of the world behind and let us take care of them. Nevertheless, the idea of walking away from her flourishing practice and starting over in Destin seemed absurd. “I could imagine people saying, ‘ You just don’t do that!’” Despite what people would or would not say, however, the Hogans at last made their move. 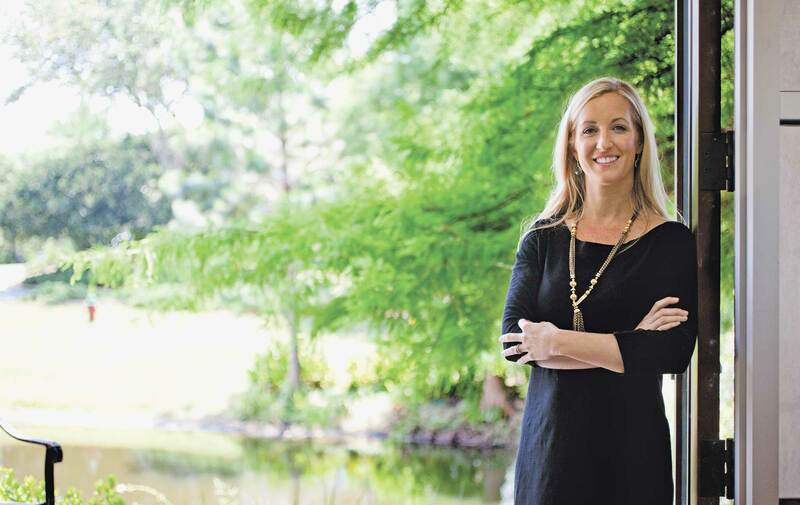 With her July 2012 grand opening of Regatta Chiropractic and Laser Center in Destin, Dr. Shawna Hogan would not only relocate to the place she longed to call home, but she would also launch the concierge-style practice that she always wanted to own. “At the risk of turning my story into a cliché about someone who risked everything to live a dream, that’s what I did,” she says. Meanwhile, her Pensacola patients remain in good hands: brother-in-law Dr. Kevin Hogan took over the East Hill practice.